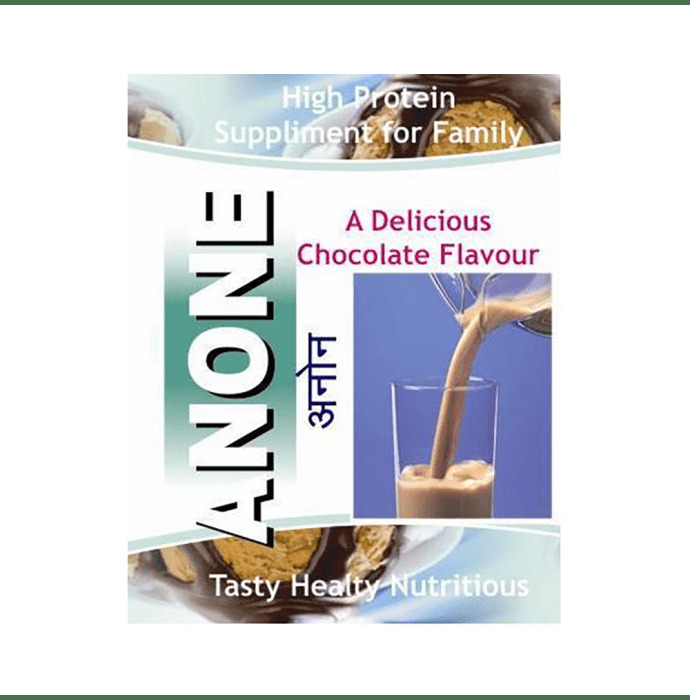 Anone Powder is a high Protein supplement enriched with Protein, Multivitamins, Multiminerals, Carbohydrates, Folic acid, Biotin and Calcium Pantothenate. Anone powder is a tasty, healthy and nutritious. Multivitamins and minerals are used to treat vitamin or mineral deficiencies caused by illness, poor nutrition, digestive disorders, certain medications, and many other conditions. Folic acid helps in the development of a healthy red blood cells, improves nervous system and heart health. Biotin is one of the most vital nutrients in the B-vitamin complex, helping you promote growth and overall health. This helps your body convert protein, fat and carbohydrates into glucose energy to promote a better functioning metabolism. Biotin can help you metabolize carbohydrates more effectively, helping you to manage your blood sugar level. Mix 2 teaspoonfuls of Anone with 1 cup of milk or water. Add sugar to taste and stir well. This drink can be taken 2-3 times a day or as directed. Children below 10 years; use half dosage. Storage: Keep it in a cool and dry place, protect from direct Sunlight. Overages of Vitamins added to compensate the loss on storage. Improper storage deteriorates the product.